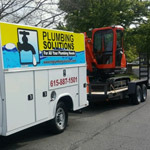 TN Plumbing Solutions in Nashville understands pipes. Pipes of all kinds, from sewer pipes to water pipes to pipes made out of every conceivable material, such as PEX pipes, PVC pipes, copper pipes, and ABS pipes. We’ve even see clay pipes. When plumbing pipes work, they are amazing creations from humans. Water and waste flow out of your home to waste treatment plants to be cleaned and recycled. Clean water flows into your home to be used for a myriad of purposes, from drinking and cooking to cleaning and washing. The whole system is an ethereal creation. However, when pipes are broken and need replaced, they don’t work quite so well and the plumbing system and sewer system malfunction, which can lead to serious problems not only in the spot where the malfunction has occurred, but also in spots further down the line. 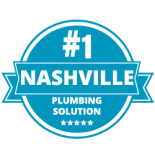 TN Plumbing Solutions in Nashville will review how our plumbing system works and what happens when there’s a breakdown somewhere along the line (hint: that’s when you call the best plumbing company in Nashville!). There are two parts to your plumbing system: water flowing in, which is your freshwater, and water flowing out, which is your wastewater. The genius of both of these systems is that it uses the laws of nature to work, which includes gravity, pressure, and water’s natural flow tendency. Your freshwater flows into your home under pressure because, otherwise, the water wouldn’t. In your home, you probably have different levels. To get your water upstairs, it has to be forced. 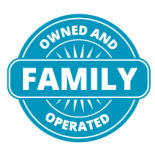 All water coming into your home passes through your water meter, so you can be properly charged by your local water company for this amazing service. But what if you have a plumbing emergency and you need to shut off the water? There is a main water shutoff, which is usually near your water meter, that will shut off water to your entire home. However, let’s say your toilet is overflowing. Most appliances in your home have its own separate shut off valve as well. This is important because water under pressure can quickly flood your home, causing major damage. All water that enters your home is cold or at the temperature of the air surrounding it. 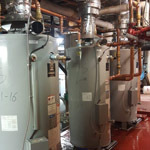 In order to have hot water, this water must pass through your hot water heater to heat it up. This requires a separate water line (called ingeniously the hot water line) that carries heated water to all areas of your home. The temperature of this water is monitored by your hot water heater, which has its own shut off valve as well in case it has a leak. To set the temperature of your hot water, there is usually a temperature gauge on your hot water heater. One hundred twenty degrees Fahrenheit is usually adequate for all your needs in the home; however, you can turn it up. Some appliances, such as your dishwasher, may have a separate hot water heater of its own for certain settings and needs. Your wastewater system, which is your used water flowing out of your home, is not under pressure. Instead, it employs the laws of gravity to move water. All of your drainage pipes are angled. Gravity then leads the water towards your wastewater treatment plant or to your septic tank. While this piping system sounds simple, it’s actually not. There are air vents on the top of your roof that allow air to enter these drainpipes. This is so the water flows properly and does not get stuck in traps or anywhere else. Traps are the S-shaped pipe you see under most drains in you home, the easiest one to see is under your kitchen sink. If these traps did not exist, sewer gases would flow back up into your home, bringing the smell with them. Every fixture in your home has a trap, except toilets, which are self-trapped. Fixtures are places where the freshwater pipes and the wastewater pipes bridge. All devices in your home that use both freshwater and wastewater (toilets, sinks, tubs, dishwashers, and washing machines) are fixtures and are designed to keep the freshwater separate from the wastewater. If it didn’t, we’d have serious problems and be sick and could even die. Bathtubs have a special trap designed to catch hair and dirt so your pipes don’t become clogged. There are clean-out plugs on the traps that allow you to empty them and clean them since hair and grease cause the most clogs. This wastewater system goes by another name as well: the drain-waste-vent (DWV) system, which more aptly describes the components in the process. All components in the DWV system have to be working to prevent breakdowns in your sewer pipes and sewer pipelines. If a sewer pipe breaks, wastewater will leak out, and depending on the location, can cause serious damage to your home. If a sewer pipe breaks down under your home, your ground can become saturated, causing foundational problems. Backups or blockages can also be symptoms of a broken sewer pipe. If the problem is localized, such as only you toilet breaks down, odds are it’s a problem with that sewer pipe. If you have a backup in multiple pipes in your home, odds are your problem is with the main sewer line, which is where all drains flow into on their way to the sewer treatment plant. 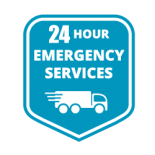 If you experience a backed up drain in the Nashville area, call TN Plumbing Solutions today. We’ll perform a sewer inspection of all of your sewer pipes in order to discover the source of the break. Sometimes a breakage is caused by tree roots, channelling, cracks in the soil, or misaligned pipe connection. These deeper sewer pipe problems can be discovered with a sewer video inspection. 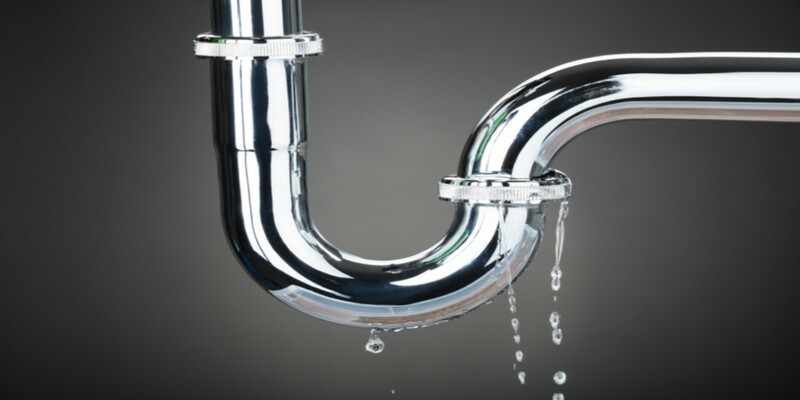 When you have a leak in your freshwater pipes, you’ll know it right away. That’s because this water is under pressure, meaning it will never stop flowing until the leak is fixed, or you turn the shut off valve to off. Picture a running faucet that never stops. Similar elements in our environment, such as tree roots and rodents, can cause leaks in your freshwater system. 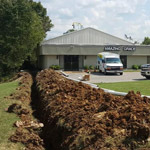 With a great plumbing company such as TN Plumbing Solutions in Nashville, sewer pipe repair and freshwater pipe repair can fix all of the issues with your piping system. Keeping your piping system in good working order will be key to ensure leaks and breaks don’t happen. We offer plumbing maintenance in the Nashville area, which will prolong the lifespan of your plumbing system and prevent major damage before it occurs. All fixtures and pipes will be inspected a well as your drains and pipes. 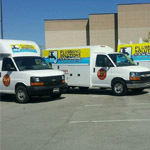 Preventative plumbing services and sewer services, such as sewer line cleaning and drain cleaning service, can clear up any problems that may be building, and if you suspect a leaky pipe, call us right away for sewer pipe repair and freshwater pipe repair. TN Plumbing Solutions also offers repiping services, which is where we’ll replace all the pipes in your home if they are corroding, degrading, or exhibit other wear and tear signs. Working pipes in your plumbing system is a beauty to behold. Contact TN Plumbing Solutions in Nashville to keep this beauty flowing!